I love facial skin care, may it be cleansers, toners, sleeping pack, scrub, most particularly anti-ance variants. 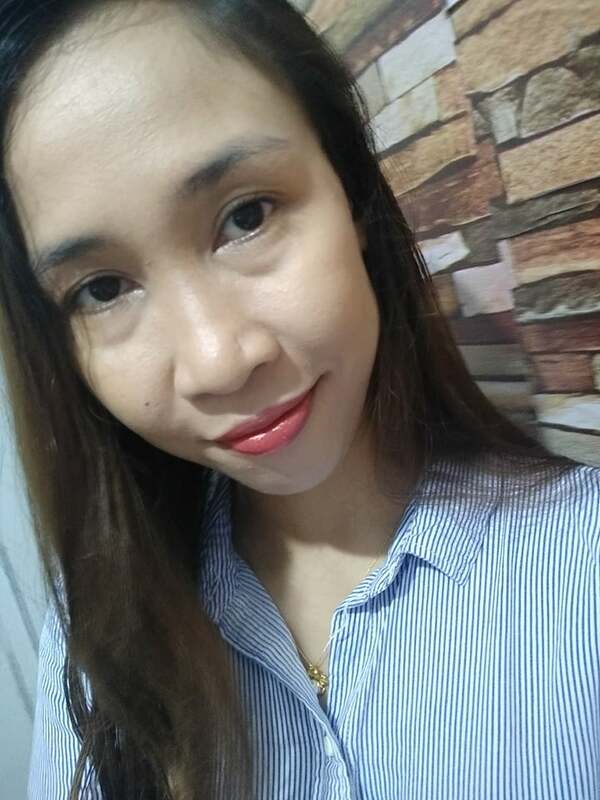 When I was in high school, pimples is not my problem but having an oily skin was and of course that so-called bad hair days I have during my entire childhood days. Also, I'm a late bloomer. But OMG! 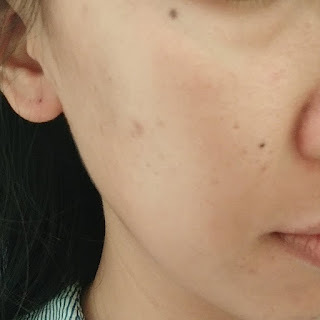 after giving birth to my second child Hello Pimples!!! 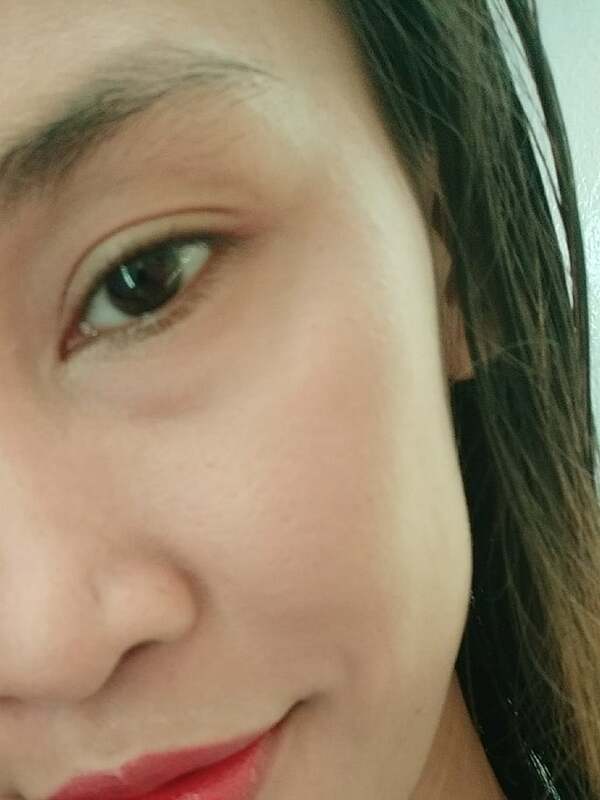 Ad since then never na naging clear from breakouts, blackheads, and whiteheads ang aking face. Being a stay at home momshie with a startup baking gig, wifey and mommy duties, + blogging gigs - good luck kung makapag-pedicure man lang ako diba? That's why most of my pamperings sesh and skincare is mostly via events and or my DIY's at home. So let me share to you some of my beauty regimens, tips, beauty product finds, new product alert and of course reviews. On this post, I am featuring an extraordinary facial cleanser that I've been using for a month now. 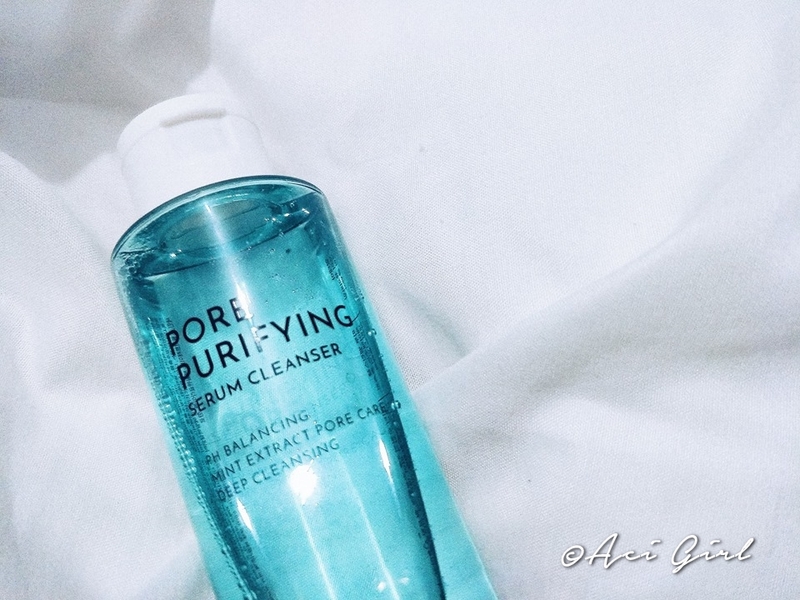 Its called Pore Purifying Serum Cleanser exclusively available only at Althea website. Cleanser and Serum in 1 | Pore Purifying | PH Balancing. This product is basically a Facial Cleanser, a Makeup Remover, and PH Balancing agent in a serum-like formula for the skin to be looking and feeling healthy. Because I got super excited - I skipped part of reading the labels, well, technically I checked the labels but the details were on Korean characters - Hangul only. So at first I kinda leave the serum on my face after my basic cleansing. 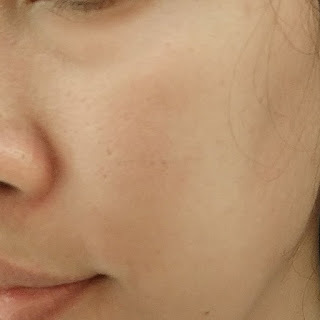 It was just after a couple of days that I came to realize that I must rinse it off :P Silly me but no worries because nothing bad happened to my face. In fact, it became better pa! How to Use: Moisten face with water and apply a small amount of the Pore Purifying Serum Cleanser. It can be applied using a cotton ball, or a cotton pad or just use your fingers. If you are to use this product as a makeup remover, using a cotton pad or cotton balls is a must. But as for me, I opted for the last one -using my fingers and palm pa nga. So that I can evenly distribute the serum-cleanser on to my face and neck and no drop put to waste. On circular motion gently massage your face for 5-10 seconds and then rinse it off. YES. Rinsing is required. I like the Aquamarinine'ish color of the bottle and the labeling is simple. Packaging is pretty neat looking for me. Value for Money: Php430.00 a bit pricey. But for serum and cleanser in one bottle - I think this is a good buy! Also after seeing how it worked on me - I can definitely say it's a must-buy! *This Makeup Line for Althea is super Good and Affordable! Stay tuned for I'll be featuring this makeup line soon! Rating: 4.5/5 - Being always up for adventures, I wished that it could have been in 100ml bottles. 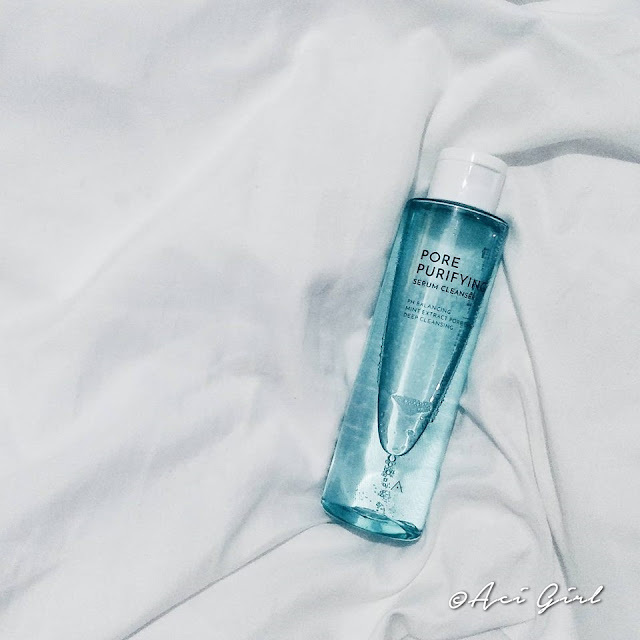 But hey, I'm not complaining, I can transfer this on a smaller bottles naman that's ideal for travel sizes so I can still have this Pore Purifying Serum Cleanser with me on my trips and escapades. 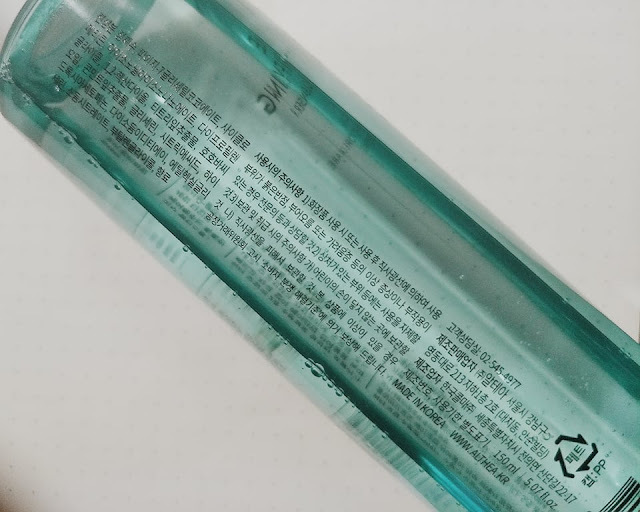 P.S Always make sure that the bottle is super tightly closed to avoid leaks. I love the hint of Mint in it - Feels so refreshing after use. and achieve a clearer and healthier looking skin. WOW maganda pala itong toner na ito gamit ko kasi na toner is gluta C ma try nga din ito..
Mukhanh naman ok sya no? Di ba medyo may hapdi if nilagay?